Surfactants, extenders and fillers; Oh my! The long-term cost of using inferior paint. Recently, we talked about how paint quality can affect the cost of your paint job, driving up the immediate cost of your project. 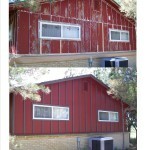 But there is another way paint quality influences your pocketbook – long-term costs. There are several areas that have to balance in order to make quality paint: spreadability – how easily the paint goes from brush or roller to the surface; coverage – how much area the paint will cover; hide – how well the new paint covers up the old color and blemishes; durability – how long the paint will last. A good paint is a chemical cocktail that balances all of these factors together and still remains affordable. Titanium dioxide – the main and most expensive ingredient in paint – plays a major role in a paint spreading smoothly, and covering well, and is the most important ingredient for a paint standing up to scrubbing, and being fade resistant. All paint has some titanium dioxide in it, but as a general rule cheaper paints will necessarily have less because of cost. Coverage is really a function of math: if you spread one gallon of paint over 500 square feet, the thickness of the paint applied HAS to be thinner than if you spread a gallon over only 250 square feet. Paints that tout how far they spread are usually more watery than high-quality paint because the runniness facilitates putting on a thinner coat. A good general rule is a gallon of paint will cover between 250 and 400 square feet. How thick the coat of paint is plays a large part in the third point – hide. It’s easy to assume as you look at a gallon of paint in a can that it’s an opaque substance. Paint has many solids as I stated earlier, but when applied properly is only about 3 mil (.003 inches) thick. That’s about as thick as heavy duty trash bags; at that thickness paint becomes translucent. Lighter colors let more light through than darker colors because they allow more light to be reflected through the paint from the color underneath – what most people call bleeding – as does applying paint too thinly. In addition to titanium dioxide, manufacturers use extenders to make paint hide better. Often they will use extenders to make a paint cover very well, but without titanium dioxide the paint will wash off more easily or fade more quickly. We’ve mentioned the amount of titanium dioxide affecting how ‘hard’ a paint is and how it protects paint from fading, but another factor that affects fade resistance: the pigments themselves. Lower-quality paint manufacturers often rely on man-made pigments rather than more costly natural pigments, but inorganic pigments rarely resist fading as well as organic ones. So what does this mean for your bottom line? 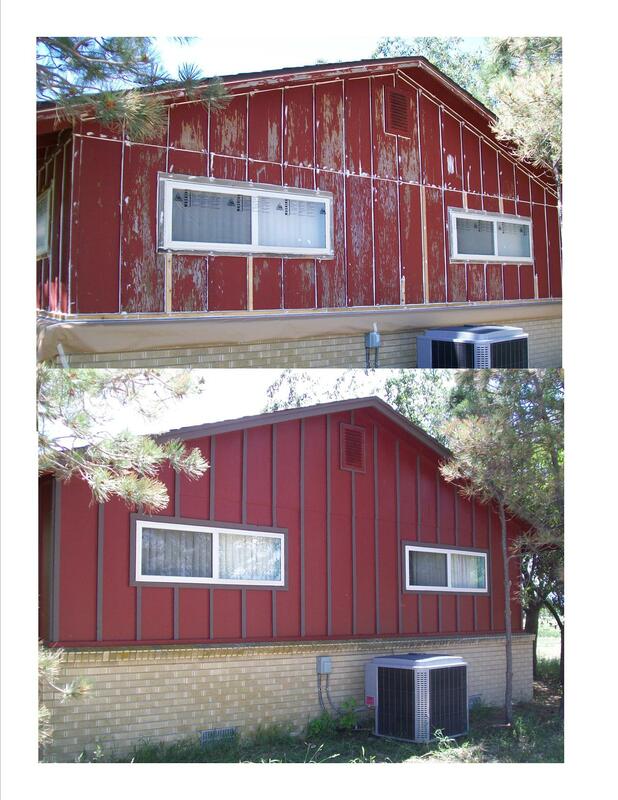 Let’s look at a $4000 exterior paint job using high-quality paint. More than likely you’ll get ten to fifteen years out of it at an average yearly cost of between $266 and $400. As we discussed last time, up to 85% of the job is labor, so you would be looking at spending around $600 on paint. If you buy low-quality paint for half the price you’re still going to spend $3700 for a paint job that may only last five to seven years – an average yearly cost of at least $528. The moral of the story: It just doesn’t pay to use inferior products. They’ll cost you more now AND cost you more in the long run.